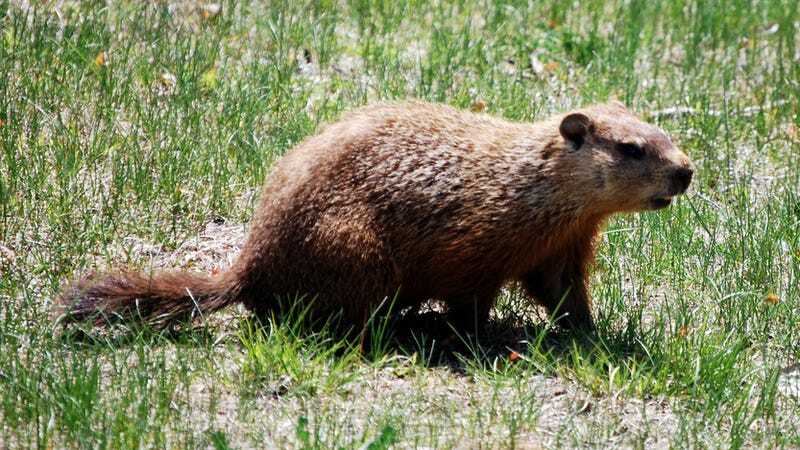 Today, millions of Americans waited with bated breath for a stupid rodent to see its shadow, all in hopes of figuring out how long winter will last. Silly? Sure. But not the weirdest winter predictor, not by a long shot. The following predictive methods are—or have been—practiced all around the world. If it seems like there's no way they could be accurate, well, Punxsutawney Phil only gets it right about 39 per cent of the time, so it's a pretty low bar. In fact, we'd all be better off just flipping a coin. But why do that when you can count a caterpillar's rings? Get hold of the breastbone of a recently deceased goose. According to Nature's Almamac: "The length of the breastbone indicates the length of the ensuing winter, while the color of the breastbone indicates its severity." Plain white indicates a mild winter; the more mottled the breastbone the more severe the winter to come. The upside here is you get to eat a goose. If you struggle to lay your hands on a goose, try and find a woolly bear caterpillar. "If the caterpillar has two black rings, one at each end, then it is said the winter will be harsh in the beginning and at the end, but the middle of winter will be mild," explains the Glasgow Daily Times. File this one away for next fall. What, you don't have access to any living creatures? OK, then, grab your nuts. The extremely trustworthy site New World Witchery suggests that the thickness of a walnut shell can reveal all about winter. "Thin walnut shells mean a light winter," it explains, "While thick shells mean a heavy one." Get cracking. Following our little intern disaster yesterday, our very own Brent Rose decided our staff were better than any groundhog: "The faster your intern flees from the office on his first day will tell you how long the winter is, and the number of tweets he sends from local comic stores will tell its severity." In which case, welcome to the Ice Age. If all else fails, you could, of course, turn to proper weather forecasting. Measures such as the Snow Advance Index aim to predict future winters using science. They tend to work by analyzing the oscillationing weather in the Eastern US and Europe, known as the North Atlantic Oscillation or Arctic Oscillation. You know what though? Even weather forecasts aren't that accurate: chaos theory means that virtually all weather predictions become meaningless after about ten days. So maybe we should stick with Phil after all?